"নিশ্চয় আমিয়েই কোৰআন অৱতীৰ্ণ কৰিছো আৰু অৱশ্যে আমিয়েই ইয়াৰ সংৰক্ষক।"
↑ 1.0 1.1 Nasr, Seyyed Hossein (2007). "Qurʾān". Encyclopædia Britannica Online. http://www.britannica.com/eb/article-68890/Quran। আহৰণ কৰা হৈছে: 2007-11-04. ↑ McAuliffe, Jane Dammen (2001). "Encyclopaedia of the Qurʾān". Encyclopaedia of the Qurʾān. 1. প্ৰকাশক Leiden: Brill. p. x. ISBN 978-90-04-11465-4. ↑ Living Religions: An Encyclopaedia of the World's Faiths, Mary Pat Fisher, 1997, page 338, I.B. Tauris Publishers. ↑ Lambert, Gray (2013). The Leaders Are Coming!. WestBow Press. পৃষ্ঠা. 287. ISBN 9781449760137. http://books.google.com/books?id=sV0mAgAAQBAJ&pg=PA287&dq=%22Muslims+believe+that+the+Quran+was+verbally+revealed%22&hl=en&sa=X&ei=e8lCVMimDZS2yASeuYHgDg&ved=0CB0Q6AEwAA#v=onepage&q=%22Muslims%20believe%20that%20the%20Quran%20was%20verbally%20revealed%22&f=false. ↑ Roy H. Williams; Michael R. Drew (2012). Pendulum: How Past Generations Shape Our Present and Predict Our Future. Vanguard Press. পৃষ্ঠা. 143. ISBN 9781593157067. http://books.google.com/books?id=mygRHh6p40kC&pg=PA143&dq=%22Muslims+believe+that+the+Quran+was+verbally+revealed%22&hl=en&sa=X&ei=e8lCVMimDZS2yASeuYHgDg&ved=0CCMQ6AEwAQ#v=onepage&q=%22Muslims%20believe%20that%20the%20Quran%20was%20verbally%20revealed%22&f=false. ↑ Peters, F.E. (2003). The Words and Will of God. Princeton University Press. পৃষ্ঠা. 12–13. ISBN 0-691-11461-7. ↑ Donner, Fred, "The historical context" in McAuliffe, J. D. (ed. ), The Cambridge Companion to the Qur'ān (Cambridge University Press, 2006), p. 31–33. ↑ Nigosian, S.A. (2004). Islam : its history, teaching and practices ([New ed.]. সম্পাদনা). Indiana Univ. Press. পৃষ্ঠা. 65–80. ISBN 0-253-21627-3. ↑ Wheeler, Brannon M. (2002). Prophets in the Quran: an introduction to the Quran and Muslim exegesis. Continuum. পৃষ্ঠা. 15. ISBN 978-0-8264-4956-6. Khalidi, Tarif (2009). The Qur'an: A New Translation. Penguin Classics. ISBN 978-0-14-310588-6. Rahman, Fazlur (2009) . Major Themes of the Qur'an (Second সম্পাদনা). University Of Chicago Press. ISBN 978-0-226-70286-5. Gibson, Dan (2011). Qur’anic Geography: A Survey and Evaluation of the Geographical References in the Qur’an with Suggested Solutions for Various Problems and Issues. Independent Scholars Press, Canada. ISBN 978-0-9733642-8-6. McAuliffe, Jane Dammen (1991). Qurʼānic Christians : an analysis of classical and modern exegesis. প্ৰকাশক New York: Cambridge University Press. ISBN 978-0-521-36470-6. Al-Azami, M. M. – The History of the Qurʾānic Text from Revelation to Compilation, UK Islamic Academy: Leicester 2003. Puin, Gerd R. – "Observations on Early Quran Manuscripts in Sana'a," in The Qurʾan as Text, ed. Stefan Wild,, E. J. Brill 1996, pp. 107–111. Encyclopaedia of the Qur'an. Jane Dammen McAuliffe et al. (eds.) (1st সম্পাদনা). Brill Academic Publishers. 2001–2006. ISBN 978-90-04-11465-4. 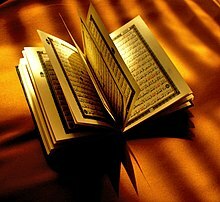 The Qur'an: An Encyclopedia. Oliver Leaman et al. (eds.) (1st সম্পাদনা). Routledge. 2005. ISBN 978-0-415-77529-8. 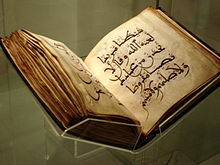 Encyclopedia of the Holy Qurʼân. A. R. Agwan and N.K. Singh (eds.) (1st সম্পাদনা). প্ৰকাশক Delhi: Global Vision Publishing House. 2000–2006. ISBN 978-81-87746-00-3. Journal of Qur'anic Studies / Majallat al-dirāsāt al-Qurʹānīyah. School of Oriental and African Studies. 1999–present. ISSN 1465-3591. Journal of Qur'anic Research and Studies. প্ৰকাশক Medina, Saudi Arabia: King Fahd Qur'an Printing Complex. 2006-present. http://jqrs.qurancomplex.gov.sa/en/.